Wellman is an advanced range of men's supplements, designed for the nutritional intake and lifestyle needs of men. Wellman vitamins for men are based on extensive international research and provide comprehensive multivitamin formulations to help support men's health. 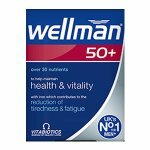 Wellman 70+ provides a comprehensive range of 30 vitamins, trace elements and specialist advanced nutrients specifically formulated to help safeguard the nutritional needs of men aged 70 and above. The comprehensive formula includes nutrients to help support general wellbeing as well as key areas of age-related health including vision and immune health and cognitive function. 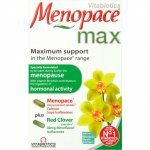 Wellman 70+ offers first of its kind support for men of this age group, and forms part of the Vitabiotics Wellman range, the UK's number 1 men's supplement brand. After 70 it is even more important to ensure that you are getting the adequate levels of nutrients. Wellman 70+ contains thiamine (vit.B1), copper and iron which contribute to normal energy release. Vitamin B6 and B12 are included as they contribute to normal red blood cell formation plus iron which contributes to normal formation of red blood cells and haemoglobin, the substance that helps to transport oxygen around the body. The specially tailored formula also includes Siberian ginseng, Alpha lipoic acid and Co-Q10. 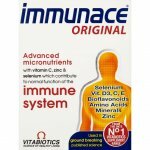 Immune health is an important consideration as you get older. 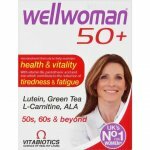 Wellman 70+ therefore also includes vitamin C, B6, B12 and D plus minerals zinc and iron which contribute to the normal function of the immune system. 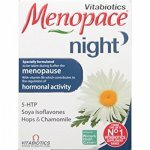 UK Department of Health advice: adults aged 65 and over should take a supplement containing vitamin D.
Wellman 70+ includes specific nutrients which have been specifically chosen for their role in supporting all round male health including vitamin B6 which contributes to the regulation of hormonal activity. High levels of caffeine, smoking, stress and drinking can cause depletion of zinc levels in the body. Factors such as tea and high fibre intake may also inhibit the absorption of this important mineral. The comprehensive formula also includes zinc which contributes to normal testosterone levels in the blood. The retina and the lens can be damaged over the years by exposure to sunlight, smoke and pollution. Vitamins C and E contribute to the protection of cells from oxidative stress, plus mineral zinc, which contributes to the maintenance of normal vision. It is important to keep our brains healthy and active as we get older. Wellman 70+ includes iron, iodine and zinc which contribute to normal cognitive function plus pantothenic acid which contributes to normal mental performance. 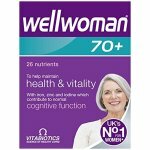 Wellman 70 + also contains vitamins B6 and B12, biotin and vitamin C which contribute to the normal functioning of the nervous system. Wellman 70+ contains vitamin B1 which contributes to the normal function of the heart while vitamins B6 and B12 contribute to normal homocysteine metabolism and normal red blood cell formation. 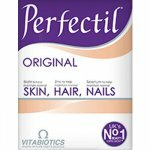 The formula also includes vitamin C which helps to increase iron absorption, an important consideration for vegetarians. Swallow with water or a cold drink. Not to be chewed. Do not exceed the recommended intake. To be taken on a full stomach. As with other food supplements, seek professional advice before using if you are under medical supervision, suffer from food allergies, or are allergic to any of the ingredients. Bulking Agent: Maltodextrin, Microcrystalline Cellulose, Vitamin C (Ascorbic Acid), Niacin (as Nicotinamide), Zinc Sulphate, Tablet Coating (Hydroxypropylmethylcellulose, Hydroxypropyl Cellulose, Caprylic/Capric Triglyceride, Natural Colours: Iron Oxides, Titanium Dioxide), L-Carnitine Tartrate, Thiamin (Vitamin B1 as Mononitrate [Methyl Cellulose]), Silicon Dioxide, Anti-caking Agents: Stearic Acid & Magnesium Stearate, Alpha Lipoic Acid, Ferrous Fumarate, Vitamin E (D-Alpha Tocopheryl Acid Succinate) (from Soya), Citrus Bioflavonoids, Vitamin B6 (Pyridoxine HCl), Pantothenic Acid (as Calcium Salt), Crosslinked Cellulose Gum, Natural Mixed Carotenoids (Betacarotene, Gamma-Carotene, Citroxanthin, Beta-Zeacarotene, Modified Starch, Corn Starch, Glucose Syrup, Antioxidants: DL-Alpha Tocopherol, Sodium Ascorbate), Vitamin A (as Acetate [Gum Acacia, Sucrose, Starch, Tricalcium Phosphate, Antioxidant: DL-Alpha Tocopherol]), Vitamin D3 (Cholecalciferol, Acacia, Sucrose, Corn Starch, Medium Chain Triglycerides, Antioxidant: DL-Alpha Tocopherol), Phosphatidylcholine (from Soya), Lutein Esters (Sugar, Natural Vitamin E, Ascorbyl Palmitate, Gum Acacia, Cellulose, Hydroxypropylmethylcellulose, Lutein Esters, Zeaxanthin Esters), L-Glutathione, Co-Enzyme Q10, Riboflavin, Pumpkin Seed Extract, Siberian Ginseng Extract, Copper Sulphate, Manganese Sulphate, Chromium Trichloride, Folic Acid (as Pteroylmonoglutamic Acid), Potassium Iodide, Vitamin B12 (Cyanocobalamin), Sodium Selenate, Biotin.